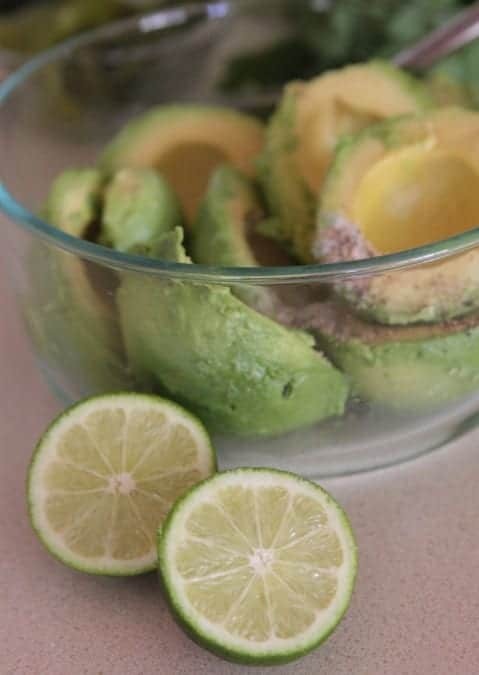 Guacamole!! Oh how I love it with a big bowl of crispy chips. Is there much better? 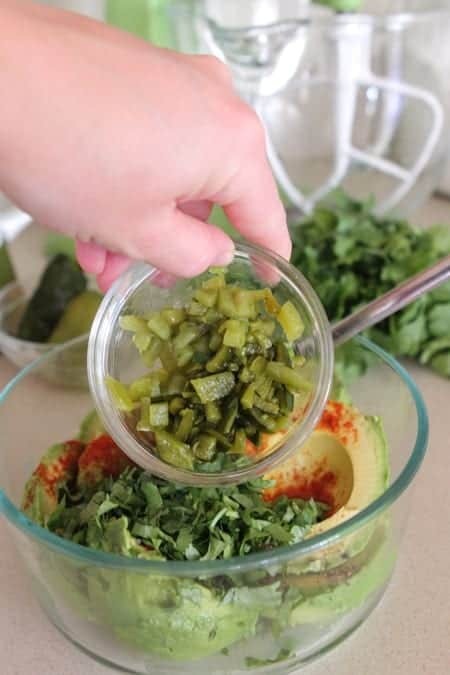 I’ve developed a killer guacamole recipe with just the right seasonings and flavor that tastes like it’s straight from your favorite Mexican restaurant. 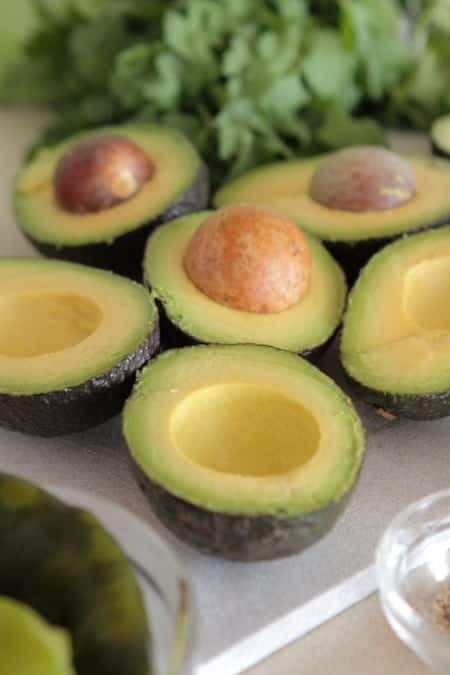 You’ll need 4 nice large avocados perfectly ripe. 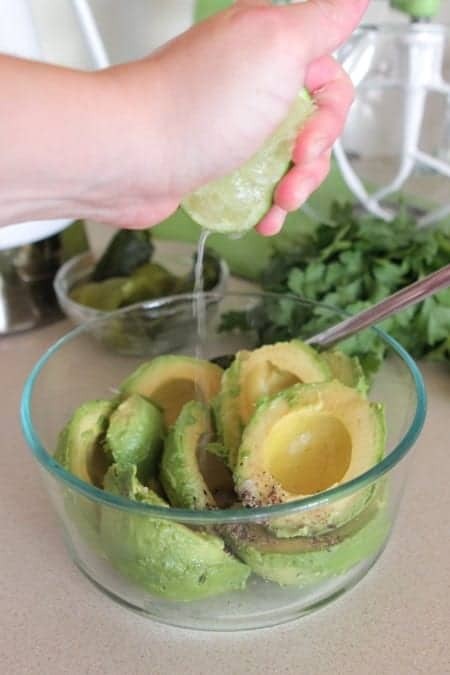 You should be able to press your thumb slightly into the avocado. Not too much or then it could be browned. Once you get the hang of it, you’ll be a pro! Go to your produce section and look for Anaheim peppers and Pasilla peppers. They should be close to each other. These are the magic ingredient to my guac. 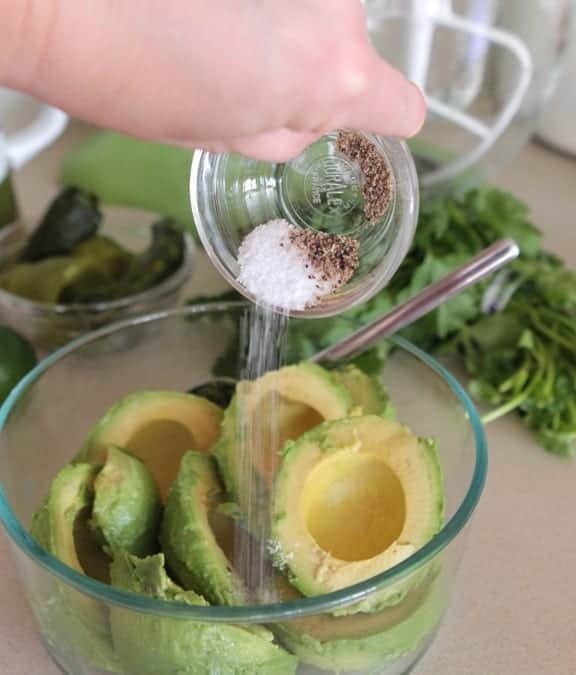 Place all 4 of your avocados into a large mixing bowl and let’s get started! A little kosher salt and freshly ground black pepper please! Squeeze the juice right into the bowl. Add your cilantro and smoked paprika. Be sure you use smoked paprika only. It adds the perfect smoky bite. You will roast your peppers ahead of time. Remove the membranes and broil in your oven until the skin is blackened. See recipe for more details. Give this all a good stir until you reach the consistency of your liking. Grab a bag of chips and enjoy!! Preheat oven’s broiler. Place split peppers, membranes removed onto a piece of foil. Place in oven and let cook until skin is blackened. Remove and wrap completely in foil. After 5 minutes, carefully remove blackened skin and chop. 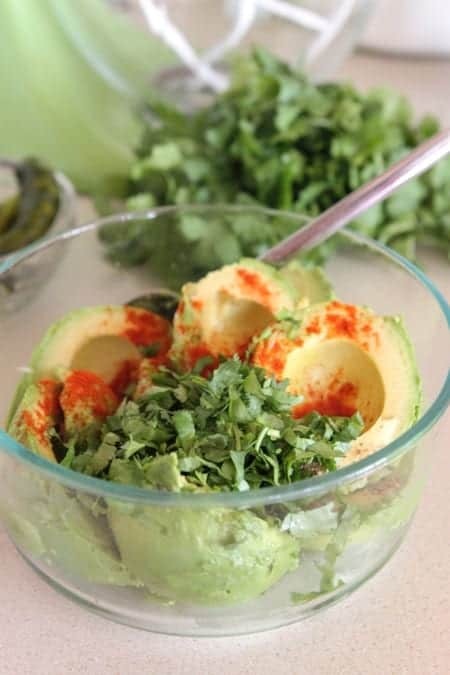 Place avocados in large bowl. Add salt, pepper, lime juice, smoked paprika, cilantro and chopped roasted peppers. With a spoon, stir and mash until you reach the consistency of your liking. Serve right away with chips. 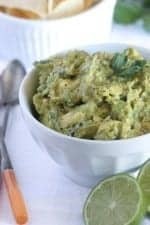 I love homemade guacamole! Yours looks fabulous! 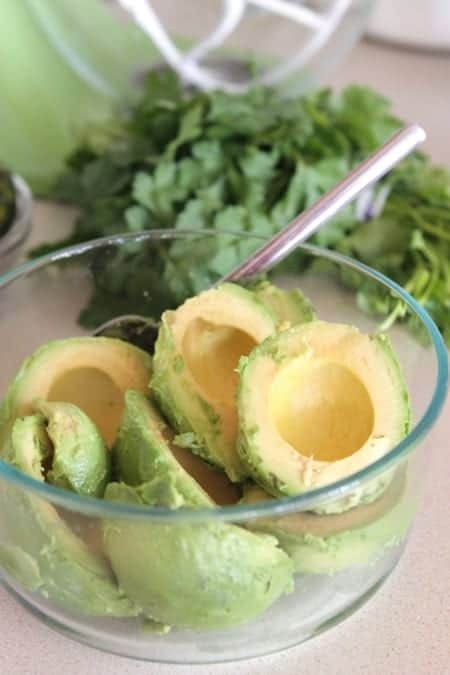 Those avocados are gorgeous! 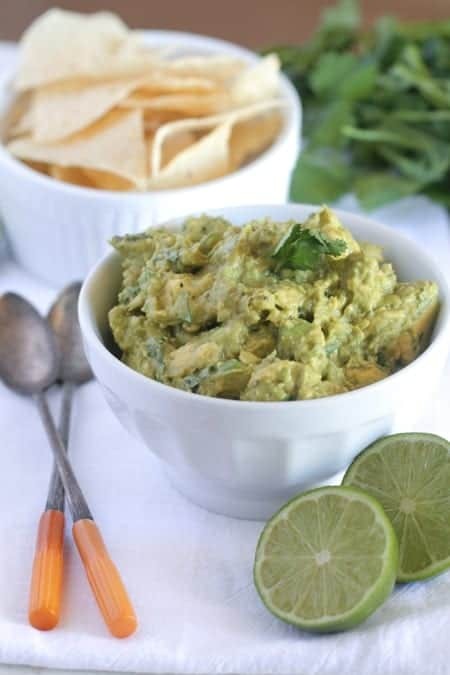 And I am always game for guacamole, especially on Cinco de Mayo! Is it wrong to want to eat this with a spoon? For breakfast? Because if it is I don’t wanna be right! Guacamole is nectar of the gods. 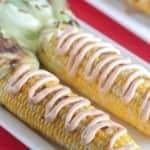 I love the smoked paprika addition! So fresh…looks great! 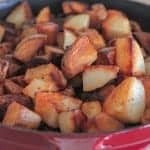 Love that there are not many ingredients and it is so simple! 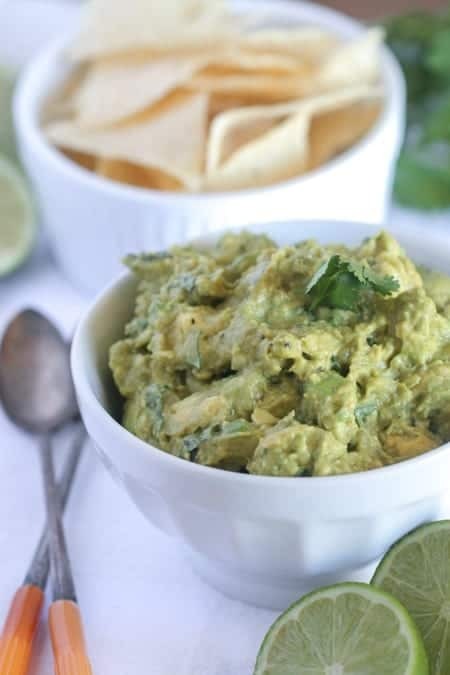 I could eat guacamole all day long every day. It’s my friend. I’m all about some guacamole! Looks great – and I love the peppers you used 🙂 Pinning! Give me a big bowl! Looks scrumptious! I love avocado. 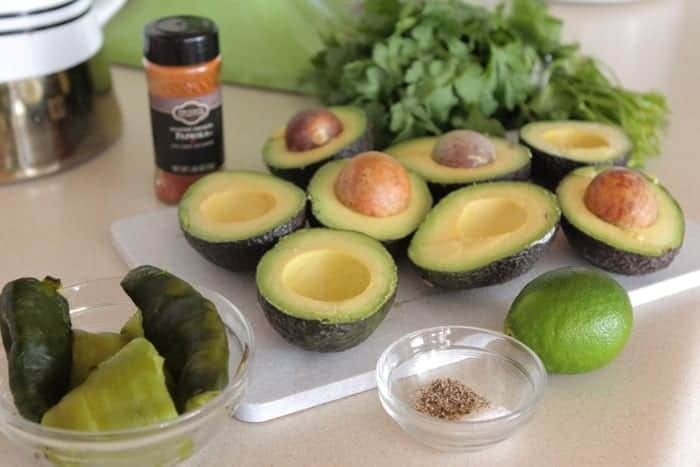 I have try your recipe for this guacamole. Thank you so much for sharing.